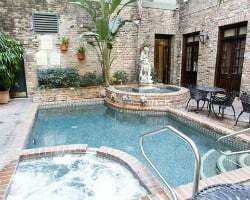 Owning at the *Quarter House* is a way to enjoy luxurious condominium living in the Historic French Quarter at very reasonable prices. The French Quarter represents some of the most sought after and attractive real estate in the world. 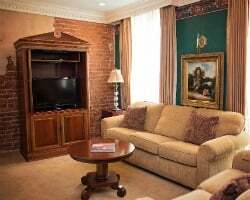 If you or your family members enjoy staying in the French Quarter, owning a condominium timeshare property at the Quarter House is a way of securing a home away from home and protecting yourself against rising hotel rates. To top off your stay with The Quarter House, on Saturday, Sunday and Monday mornings, enjoy a complimentary continental breakfast served in the lush tropical courtyard, to make guests feel truly welcome! Experience unforgettable vacations in New Orleans each year! French Quarter Festival week! Stay during Spring Break week 15! Vacation in the historic French Quarter! Large penthouse lockout suite! Buyer may receive a title fee credit, inquire for details! Annual week 5 in New Orleans! Ideally set near many historic attractions! Buyer may receive a title fee credit, inquire for details! Week 38 every year! Buy now, and receive first year usage free! Buyer may receive a title fee credit, inquire for details! Owner also has week 12 for sale! Ad #1783552! Travel weeks 12 & 13 annually! Purchase both for $16,495! Owner also has week 13 for sale! Ad #1789584! Travel weeks 12 & 13 annually! Purchase both for $16,495! Annual week 27! Prime location in New Orleans! Buyer May Receive A Title Fee Credit, Inquire For Details! Annual week 32! Great family friendly option! Buyer May Receive A Title Fee Credit, Inquire For Details! 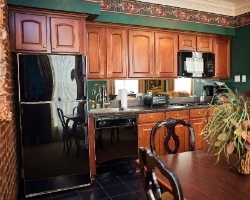 Have all the comforts of home & more! Buyer May Receive A Title Fee Credit, Inquire For Details! Enjoy this terrific resort during weeks 17 and 18-- Jazz Fest week! Buyer may receive a title fee credit, inquire for details! Week 21 annually! Price is negotiable. Peak, yearly, spring week during local festival - French Quarter Fest! Don't miss this resale! Neg! Red week 47 every year in the heart of the French Quarter! Price is negotiable. 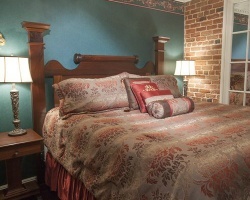 Vacation in the Historic French Quarter Every Year During Fun & Festive St. Patrick's Day Week! Make an Offer Today! Neg! Resort is on the heart of all the culture, entertainment & much more! Buyer May Receive A Title Fee Credit, Inquire For Details! Only blackout dates are week 51 and 52. Buyer May Receive A Title Fee Credit, Inquire For Details! Take in all the culture and entertainment in New Orleans! Buyer May Receive A Title Fee Credit, Inquire For Details! Charming resort in exciting New Orleans! Yearly usage in January week 3! Buyer receives complimentary closing credit; inquire for details! 5 star resort! Resort overlooks the French Quarter! Buyer May Receive A Title Fee Credit, Inquire For Details! Come to New Orleans and explore all the culture, activities & more! Buyer May Receive A Title Fee Credit, Inquire For Details! Start the year off right with a week #1 vacation every odd year in The Big Easy! Make an offer today! Vacation in the Historic French Quarter! Enjoy annual week 24 vacations! Buyer may receive a title fee credit, inquire for details! Lovely resort located right in the middle of all the New Orleans action! Buyer may receive a title fee credit, inquire for details! 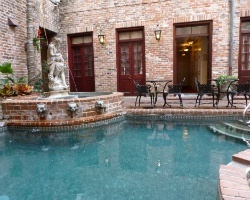 Beautiful resort in the French Quarter! Annual week 23 usage! Buyer may receive a title fee credit, inquire for details! Explore New Orleans annually. Perfect couples getaway! Week 18 is the 2nd week of Jazz Fest. Buyer may receive title fee credit, inquire today! !